Martin Young invites readers to consider his “possible way to break the Brexit impasse” sent to Bob Seely last week. He believes that if concerns are addressed, (through further negotiations with the EU), he and many others could be persuaded to accept the current negotiated deal. This from Martin J Young from Cowes, who emailed the same to Bob Seely on 22nd January, but has not had reply other than “the standard automatic reply notifying acceptance of the message”. With Parliament, and the UK public, at loggerheads with each other over Brexit, (no-deal Brexit, Theresa May’s negotiated deal, and Remain in the EU), this is a dangerous time of the UK. 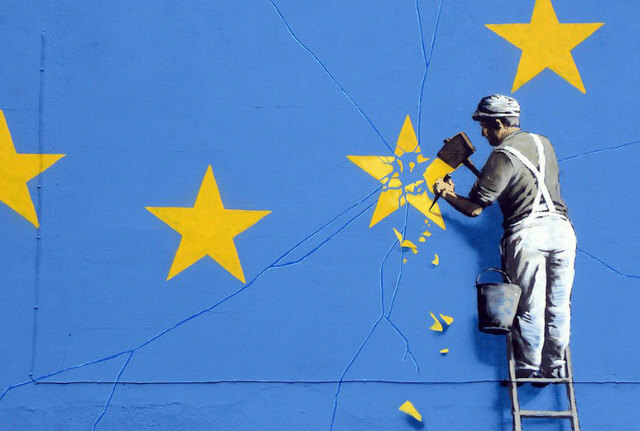 As a committed Remainer, I would love to see Article 50 rescinded, but realise that without a new referendum, (to judge the “will of the people” now a deal has been negotiated), that the calling of a new referendum in itself could lead to civil unrest from the hard-line Brexiteers. So I have been thinking hard how to appease both the Brexiteers and the Remainers. The June 2016 referendum resulted in the Brexit/Remain split of 52% to 48% of those that actually voted. But not all the population voted, and many people were excluded from voting. If we look at the Brexit figures compared to the total electorate, the Brexit vote only attracted 37% of the total electorate. The electorate has changed since the June 2016 referendum, and may no longer reflect the current views of the electorate today. There never has been a majority of the UK public actively supporting Brexit, which is why the Brexiteers are so against another referendum. This has divided the whole country. Theresa May has respected the 37% of the June 2016 total electorate who voted for Brexit, by negotiating a Brexit deal, but, has totally neglected the 63% of the total electorate, who did not vote for Brexit. This has alienated the British public, and steps should be made to accommodate the views of those voters who did not vote for Brexit. So I thought what concessions could I accept to lessen the divide in the country. My biggest objection to Brexit is the damage that will happen, ( and indeed is actually happening), to the UK economy. I can do nothing to mitigate the external factors that will damage the UK economy. So what are my own personal objections? First, is my loss of my EU Citizenship which gives me my Freedom of Movement, (which I value very highly). Secondly, is my loss of Health Insurance, (European Health Insurance Card, paid for by the UK Government), when travelling through or living in the EU. I have paid for my healthcare throughout my working life through my NI and Income taxes, and I am now suffering because of the underfunding of the NHS. In France the Health are is not at all stretched. Many UK residents retiring to the EU will reduce the strain on the NHS. So if my personal concerns could be addressed, (through further negotiations with the EU), then myself and many others could be persuaded to accept the current negotiated deal. Theresa May may then get her deal through Parliament without having to compromise her “red lines”. So could you please send this letter to the Prime Minister to see if my suggestions have any merit. UK citizens born prior the UK leaving the EU, retain their EU Citizenship together with all the rights that go with it. They are Freedom of Movement, (giving the right to work and/or retire in any EU country), and retaining the European Health Insurance Card, with our health care paid for by the NHS. Item two has been included as many UK pensioners have suffered a large drop in income due the falling £ after the referendum, and this is grossly unfair, as many were excluded from the referendum. I was in contact with a UK national recently regarding me acting as a Proxy for her and her husband in any future General Election or Referendum. She was telling me that several of her fellow British citizens have had to return to the UK because their pensions have been reduced so much that they could no longer afford to live in France. This obviously impacts on UK housing demand, welfare payments and extra burdens on the NHS. I trust that you will give my consideration to reduce the divide in the UK careful thought. 15 Comments on "Letter: Could this be a possible way to break the Brexit impasse? asks Reader"
Tell that to the many hundreds of thousand of UK citizens overseas who were not allowed to vote (15 year rule, an some still paying UK taxes on their pension), and those who applied for a postal vote, and received their voting slips just a day or two before the vote, and thus lost their vote. There was NO majority of the TOTAL electorate for Leave. There is never an overall majority of the electorate for any party, but that doesn’t mean that governments don’t have authority. There wasn’t a majority of the electorate or population voting ‘IN’ in 1975, but I don’t claim it was undemocratic to accept the vote. 1. Announce UK stays in EU on 29th March. 2. Announce UK will pay ZERO Contributions from 30th March onwards. 3. Ask the EU if they want the UK to Leave or Stay in the EU …..